Bangladesh apparel exporters, Bangladesh garment manufacturers, suppliers of apparel and garment factory export and sourcing from Apparel Export Group. It is a group of joined factories. We are one of the leading clothing manufacturers in Bangladesh and best of all other apparel suppliers, apparel sourcing, buying house, buying agents and clothing exporters in Bangladesh. Our garments, apparel, clothing items and t-shirt are best in Bangladesh. Bangladeshi apparel achieved worldwide reputation. We are making garment items in our factories and supplying them through export. Our clothing items are t-shirt, polo-shirt, sweat shirt, woven denim shirt and pant, underwear, knitwear, cardigan, sweaters and jackets. In Bangladesh labor cost and textile materials both are very cheap as compared to other countries like China, Turkey, India, Sri Lanka, Cambodia and Vietnam. So we are capable of taking any order at a competitive price. Factory list with factory profile are available in website. We, Bangladesh becomes the top fashion clothing exporter and we are the largest t-shirt exporters, manufacturers and suppliers in Bangladesh. We as Apparel Export Group is one stop clothing manufacturer, sourcing, fashion woven, knitwear and sweaters manufacturing company in Dhaka, Bangladesh. A unique and dynamic manufacturing and sourcing agency offers its buyers, the best solution for sourcing textiles, yarn, printings and garment accessories locally from Bangladesh and internationally from India ,China, Taiwan and Thailand and acting the main clothing exporters in Bangladesh. In ready made garments industry or RMG sector Apparel Export Group always serving its international buyers cost-effective value added package by sourcing everything. We are in a leading place in the manufacturing, buying and sourcing agency business for providing the best quality, workmanship and prices with timely deliveries. We are the best among all Bangladesh fashion apparel sourcing agents and clothing suppliers of Bangladesh. Our vision is to offer international clothing buyers in Bangladesh market, delivering the right quality and timely shipment. We invite international buyers to Bangladesh and make buying textile clothing t-shirts from Bangladesh as our valued clients and wish for the future prospect of Pakistan and Myanmar for the same. We are always increasing our buyers profitability through out sourcing, competitive pricing, best quality, workmanship, on-time delivery, apparel-merchandising, professional behavior with the highest standard of services. As one of the leading garment clothing suppliers of Bangladesh we always assure best quality and has taken a unique place among the all other knitwear garment exporters of Bangladesh. 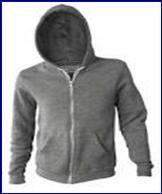 Policy based Apparel Export Group is a united group of compliance garment factories in Bangladesh. The news is we are the best factories of garment in Bangladesh and believes in worldwide business practices and principles.